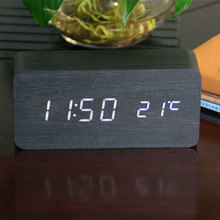 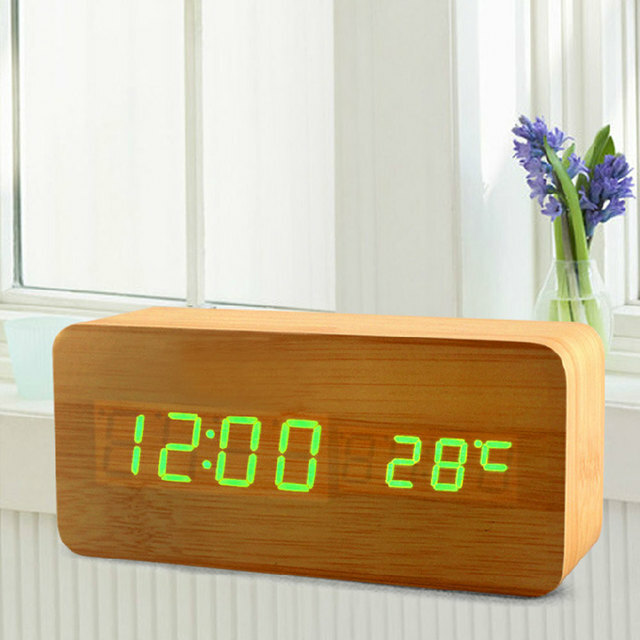 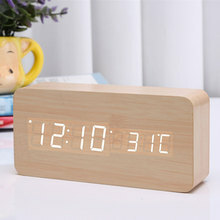 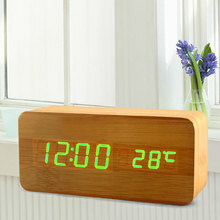 Wooden Electronic Alarm Clock comes with wood shape and texture will bring the breath of nature into the room. 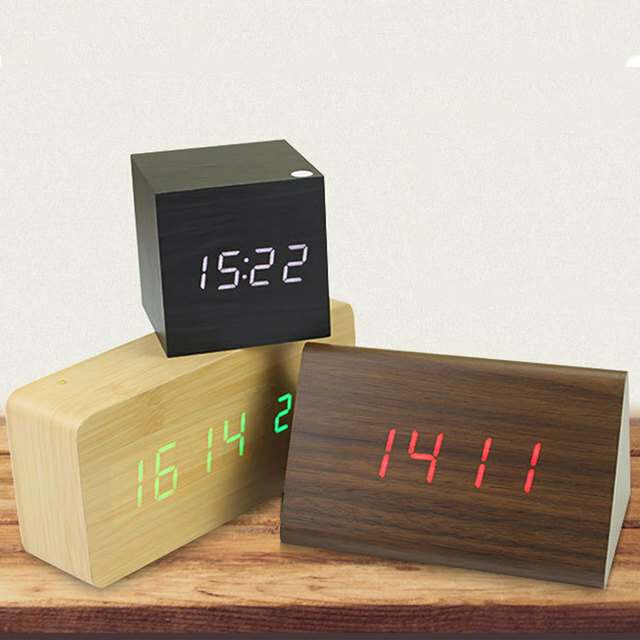 3 Levels adjustable brightness and 3 group alarm in clock is powered by USB power cable or it can be powered by 4 AAA batteries(Not Included). 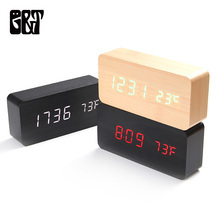 The wooden alarm clock can be touch/voice controlled that under energy saving mode, the display will turn off after 15s, any tap or sound over 60 dB with close distance will wake up the smart led alarm clock. 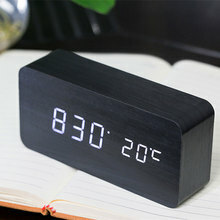 You can turn off this function if you don’t want it. 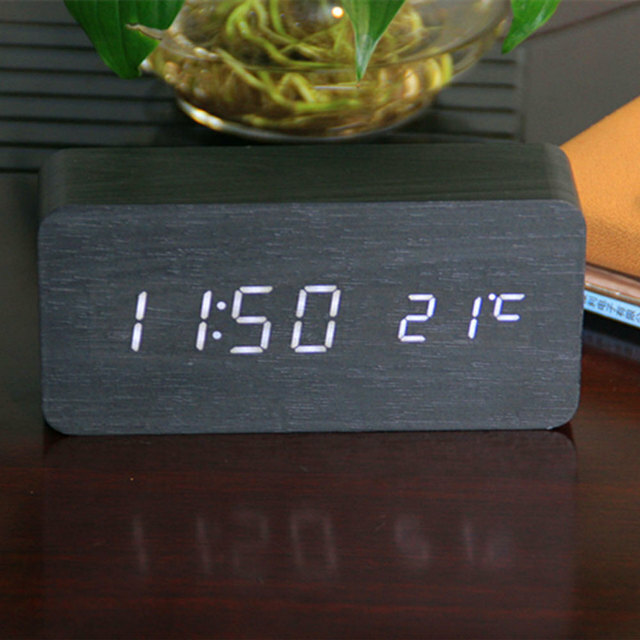 Safety, environmental and fashionable portable design that you can set clocks for meeting, travel, homework or everyday alarm by your own choice.